When Sir Stamford Raffles landed in Singapore in 1819, he found an island covered in lush forests. The rainforest at the highest point on the island, Bukit Timah Hill, contained a rich variety of plant species. Slightly more than half a century later, in 1883, Bukit Timah became the first forest reserve established for nature conservation in Singapore. 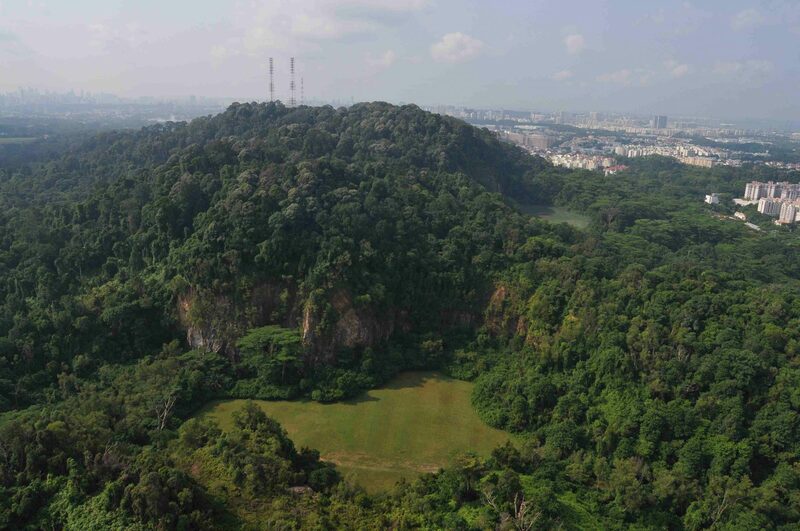 Today, Bukit Timah Nature Reserve continues to be a treasured home for Singapore’s biodiversity – it contains about 40% of the country’s native flora and land fauna, and around 15% of the total primary dipterocarp rainforest left in Singapore. This is particularly remarkable for this 163ha gazetted nature reserve, whose size makes up only about 0.2% of the total country area of 719.1 sq km. Since its formation in 1990, the National Parks Board (NParks) has taken an active role in protecting the Reserve. In 2011, it was designated as an ASEAN (Association of Southeast Asian Nations) Heritage Park, and with this recognition is a responsibility to not only continue managing the forest sustainably, but to work with other ASEAN member countries on forest conservation in the region. Bukit Timah Nature Reserve is an invaluable green lung at the heart of Singapore and the local community is actively involved in caring for its plants and animals. This is achieved through programmes such as invasive species management, reforestation, forest clean-up, stream restoration, and seed collection. These efforts will help to conserve the Reserve’s rich natural heritage for future generations.